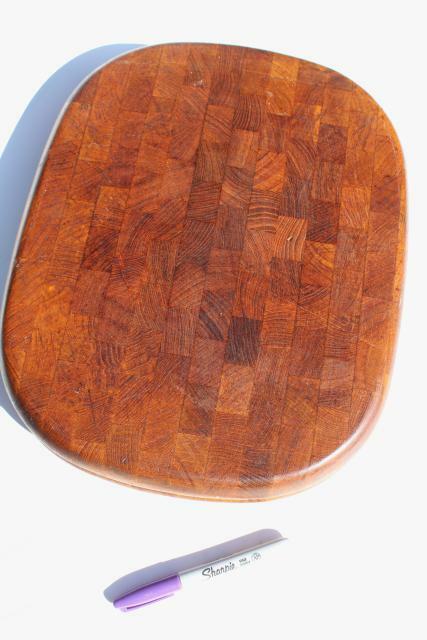 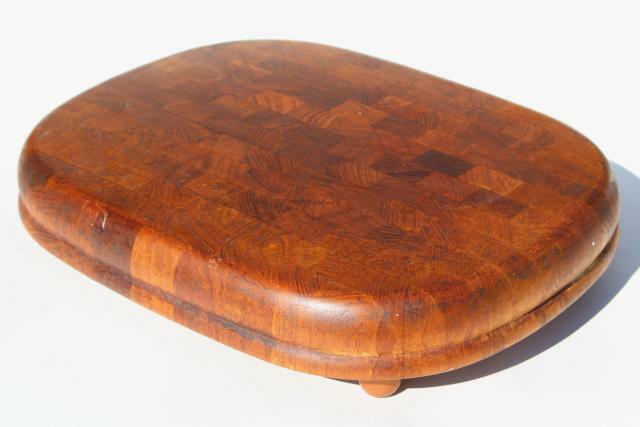 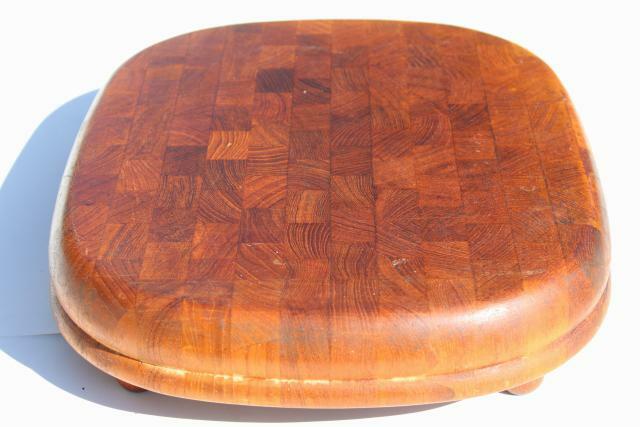 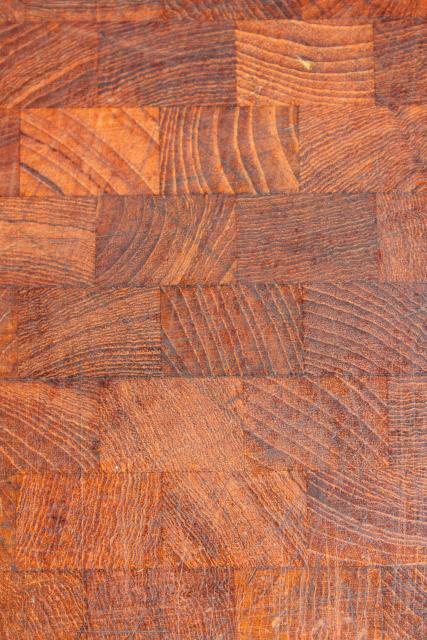 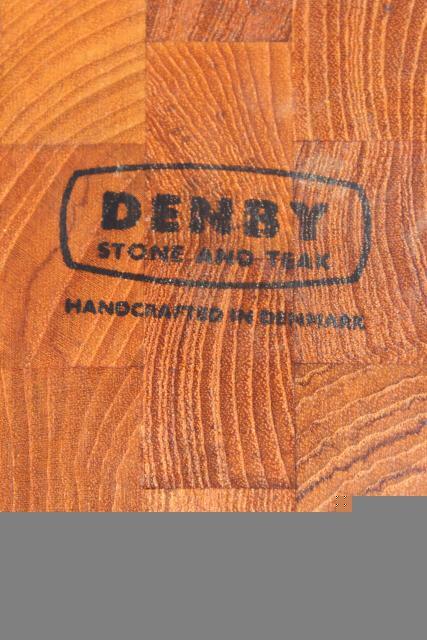 Butcher block style end grain wooden board, made in Denmark for Denby. 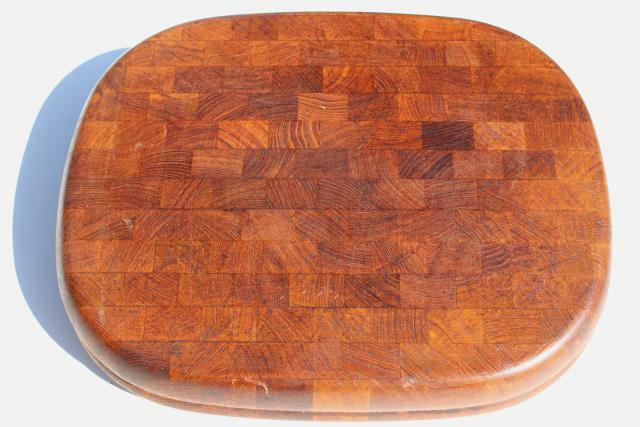 This is nicely sized for cutting and serving, measures about 15" x 12" overall. 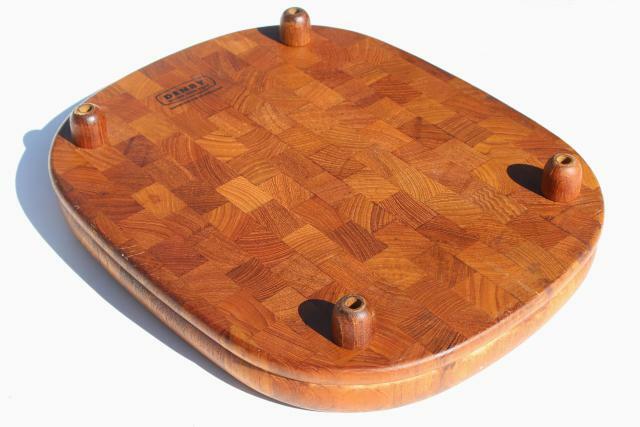 This is classic Danish modern style, 60s or 70s vintage. 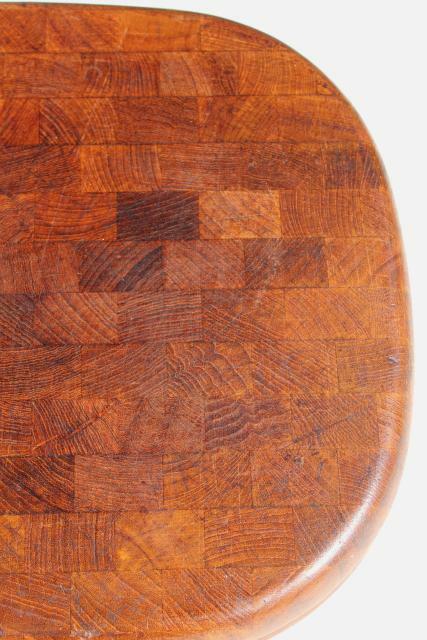 It's showing a few knife marks and some scratching from use, but looks like it has many years of use left in it yet!